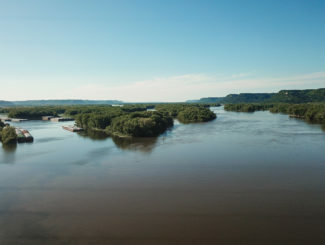 Wetlands and other waters in Minnesota are regulated by a variety of agencies, including those at the federal, state, local or watershed level. Knowing who to contact and what type of approvals are needed is important and depends on the scope and location of the project. Regional General Permit (GP): These permits are issued for projects that impact less than 0.5 acres of wetland and authorize a specific list of impacts, or authorize work that is regulated and approved by the Minnesota Department of Natural Resources (DNR) through the Public Waters program. It typically takes three to four months to obtain this permit. In Minnesota, approval with a GP automatically includes EPA/MPCA Section 401 Certification. Letter of Permission (LOP): These permits are issued for projects that impact wetlands between 0.5 to three acres (non-road projects) or 0.5 to five acres (road projects). COE performs an environmental assessment, taking four to 12 months to obtain this permit. In Minnesota, this approval automatically includes EPA/MPCA Section 401 Certification. Individual Permit (IP): These permits are issued for projects that exceed the thresholds for the GP and LOP. COE performs an environmental assessment, taking anywhere from nine months to two years to obtain this permit. EPA/MPCA Section 401 Certification must be obtained separately. If work is proposed below the OHW of a public water, a Public Waters Work permit will be required, which typically takes 60 to 90 days to obtain. It can take longer to obtain the permit depending on the complexity of the project. The DNR also issues permits for other types of work within public waters, including docks, crossings, dewatering, dredging, and boat launches. The objective of the WCA is to obtain no net loss of wetlands within the state. The rule is administered at the local level by a local government unit (e.g., the city, county, watershed district, or soil and water conservation district. No loss: Indicates that the wetland will not be impacted by the project (e.g., temporary impacts, impacts to incidental wetland). Exemptions: Various exemptions exist for projects that are required to maintain public health and safety but also may result in minor wetland impacts. De minimis: Allows a minimal amount of wetland impact to occur depending on the location of the wetland impact within the state. Replacement plan: Allows wetland impacts to occur given that no other alternatives exist, impacts have been minimized to the extent practicable, and impacts will be mitigated (e.g., replaced). 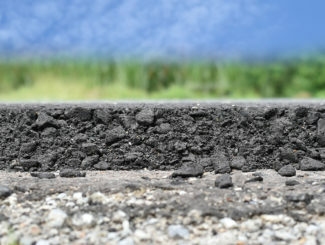 Road bank replacement: Allows the state to replace for impacts to wetlands required due to the reconstruction of an existing serviceable public roadway to meet safety or design standards. This program is available to city, county, township, and other local road authorities. It is not available for Minnesota Department of Transportation projects. To obtain any of the above permits, an applicant must provide project information that includes a project purpose and need, alternatives analysis, impact minimization measures, and a mitigation plan. Typically, mitigation is required at between a 1:1 to 2.5: 1 ratio. What does this mean for a project? If a project has the potential for water resource impacts, it is best to start coordinating with the applicable regulatory agencies as soon as possible (ideally a year in advance of construction). If you are unsure of whether your project will impact wetlands, begin by contacting your local WCA representative, Army Corps of Engineers regulatory department, and/or DNR Area Hydrologist.